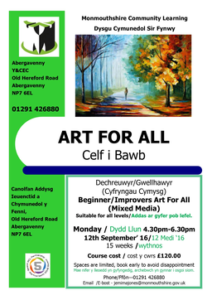 An opportunity to be introduced to drawing and painting. Learning important techniques to start your journey to loving art. Taught in a step by step style by professional artist and qualified teacher Emma Rhydderch Price.